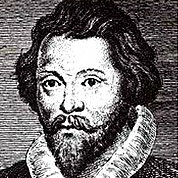 William Byrd was an English composer of the Renaissance. He wrote in many of the forms current in England at the time, including various types of sacred and secular polyphony, keyboard (the so-called Virginalist school) and consort music. Renaissance. 18 Measures. 2 Pages. Key of C. 4/4 Time Signature.